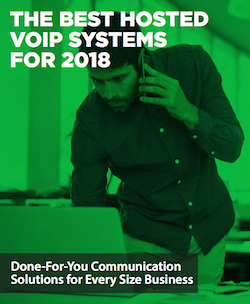 Is your business looking to adopt VoIP in 2018? Or perhaps you have VoIP but would like to update your system? If either of these apply to you, make sure you research your options ahead of time. Knowing what features you need will make the process of choosing much easier - and ensure you maximize your ROI as well. To assist you, we’ve put together a guide on The Best Hosted VoIP Systems for 2018.